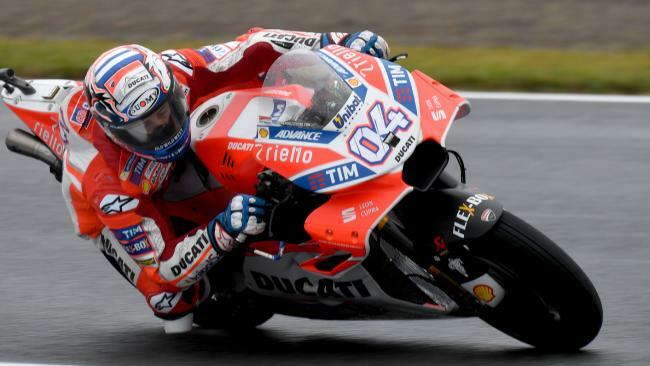 ANDREA Dovizioso reduced the 2017 MotoGP title chase to only 11 points by winning the Japanese Grand Prix on the Motegi circuit last Sunday, in what experts are calling the race of the season. 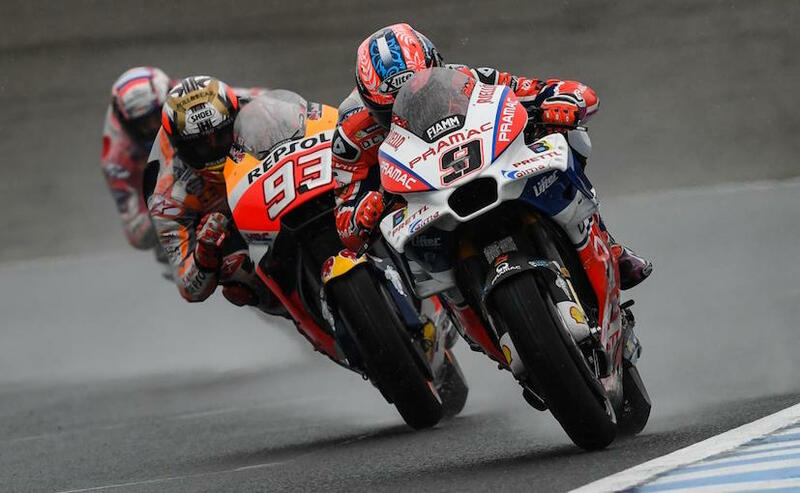 In MotoGP Round 15 of 18, and in pouring rain, Dovizioso passed points leader Marc Marquez in one of the most spectacular final lap showdowns ever seen. The Japanese GP win was Dovizioso and Ducati’s fifth this season and puts him into contention as the GP circus heads to Australia’s Phillip Island next weekend. Marquez on his Honda finished only 0.249 seconds behind with Danilo Petrucci, also on Ducati finishing third, 10.38 seconds behind. Suzuki’s Andrea Iannone and Alex Rins finished fourth and fifth, their best result of the season. Honda’s second rider Dani Pedrosa retired early and Jorge Lorenzo could only manage a sixth place on his Ducati. Yamaha’s title hopes vanished in Japan with Valentino Rossi crashing on the sixth lap and Maverick Vinales coming in ninth. previous post: Josh Waters and New Suzuki GSX-R1000R Crowned 2017 Superbike Champions at Phillip Island Finale.